The Bintangs hailed from Beverwijk, Holland and became, over some long and winding years, the country’s answer to The Rolling Stones. This rather lazy comparison is understandable when you hear Guus Pleine’s vocals – which at times sail dangerously close to those of good ol’ big lips’. 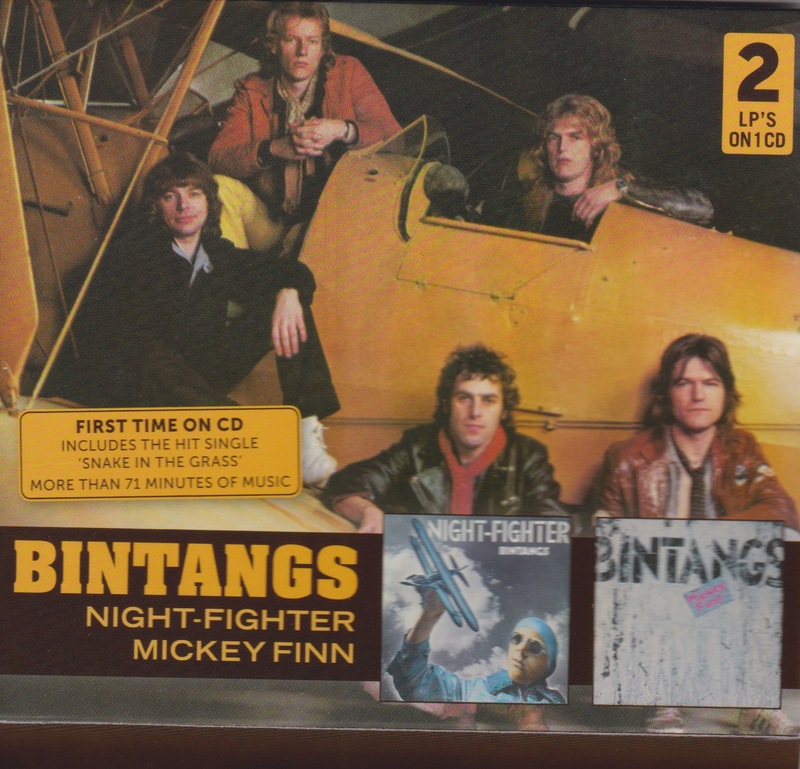 The Bintangs had a revolving door that span faster than a washing machine, but these albums come from a period of relative stability and are remembered as among their best work. 1979’s Night- Fighter kicks off with the quite blinding single Snake In The Grass: a fun, if slightly derivative romp about being a “son of a gun”. A highly talented good time band that delivered standard rock templates with wit and intelligence, Bintangs consistently broke their own mould. With its cascading tom-tom and harp backdrop, Rockinitis’ threatens to give you its titular disease, before spiralling into the Beefheartian Mohair Sam. The following year’s Mickey Finn is more of the same, but the new decade altered their production values, resulting in a slicker, less gutsy undertone. Again, a couple of idiosyncratic standouts elevate the record – particularly the devastatingly great Murder. Never released on CD before and complete with sleevenotes and plenty of pics, this is a welcome addition to anyone’s Dutch rock collection.